Stop Press! Patterson Girls shortlisted for an ABIA award. This week I got one of the most exciting pieces of news of my writing career. I heard that THE PATTERSON GIRLS was shortlisted for the prestigious General Fiction category of the Australian Book Industry Awards. It was exciting enough when I heard my GIRLS had made the long list but it was truly an honour to make the shortlist when I was up against such talented and established authors of amazing fiction. See, TOUGH competition – I love all these authors books, so will try not to fangirl too much if i get to meet them! To see the books in the other categories click here. 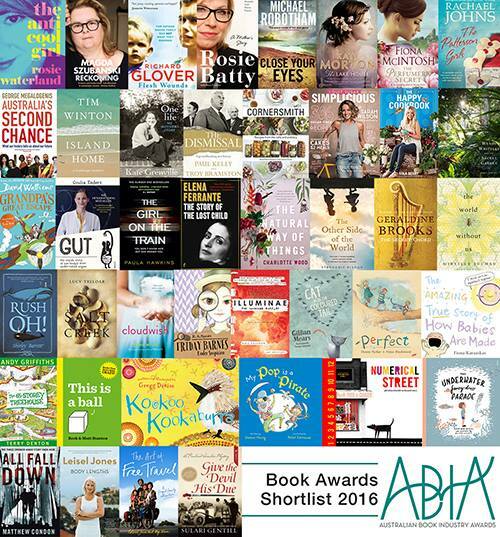 The winners will be announced in Sydney at the ABIA Awards dinner on May 19th and I’m lucky enough to be heading over for the event. My sister and I buy and share our books, we have all of yours and I am currently reading The Patterson Girls[ congratulations on your award] My husband and I did a trip through the NT and WA a couple of years ago & were on our way to Wave Rock when we heard you being interviewed on the radio along with Fiona, can’t remember the last name as there are 3 Fionas whos books we read. I know that you live in a town on the way to Wave Rock and I was going to call in and say hello but you were in Perth. Iemail Cathryn Hein also and I believe you are good friends. My sister and I love Australian Authors, our favourites are you and Cathryn but also the Fionas, Bronwyn Parry,Barbara Hannay, Helene Young,Kerry McGinnis oh and the list goes on. Hated English at school as you can probably tell, I’m a figures girl, loved maths. Anyway I’ll stop prattling, just keep those book coming. Dear Rachael, as a reader of your outback series, congratulations on your new achievement! This is a first for me! I haven’t emailed about a book before. I’ve just finished your latest book, some of which was set in New York, one of my favourite cities! I relived it and intend going back, which will be the 3rd time. Congratulations on a great read! My surname is Johns as well! Hi Dale – thank you for your message. It made my Christmas!! I’m so glad you enjoyed ART OF KEEPING SECRETS and hope you enjoy my other books just as much. Yay on the same name 🙂 x Rach! Hi Gill – thanks so much for your lovely message! I’m so pleased you’re loving OUTBACK SISTERS, it was SO much fun to write. x Rach!